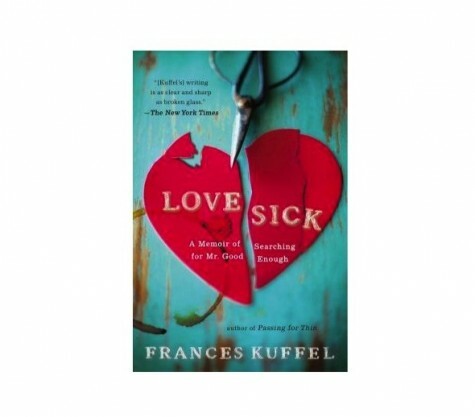 Love Sick: A Memoir of Searching for Mr. Good Enough is a sharp and irreverent memoir recalling Frances Kuffel’s quest to replace her on-again, off-again lover with someone new and preferably less unstable. As Shakespeare said, the course of true love never did run smooth, but for Kuffel, it seemed like one pothole after another. Fifty-three and never married, she opens her mind to all possibilities: She goes out with an Orthodox Jew, is almost the victim of a scammer, stays out all night with a man twenty years her junior, encounters food fixations and shoe fetishes, and generally reads a lot of strange emails. Brazenly honest and insightful, the author comes through the experience with a new understanding of love and, most importantly, herself.